It is every Filipino's dream to have their own house, it's an extra bonus if it looks exactly just the way they had imagined it to be. Having a house of your own may seem to be a far-fetched dream for many Filipinos who resorted to house rentals instead of acquiring their own properties. But it's never too late to do something to make that "dream" turn into reality. How will you be able to achieve that? That's where the book, Project: First Home is all about. It's a comprehensive guidebook that teaches first-time Filipino homebuilders how to build a house from the ground up. Written by John Aguilar, creator and executive producer of the Philippine’s longest-running real estate and construction TV show Philippine Realty TV. Yes, Aguilar's book teaches you anything and everything you need to know about building your house from the scratch. 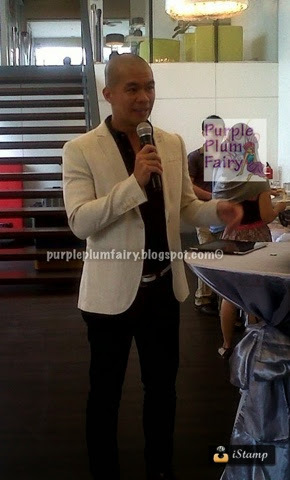 Aguilar will be teaching readers How-To-Build-Your-Dream-House 101. It has the nitty gritty of house building--all the way down to the smallest details. “Project: First Home” takes its inspiration from the same-titled series on Philippine Realty TV where Aguilar documented the construction of his first house – from design phase, construction, all the way to the finishing and furnishing. Browsing through the pages of the said book, chapter by chapter, it also includes advice on how to find that perfect lot; tips on how to secure a home loan; finding and hiring the design and construction teams; preparing for the design phase with the architect; going through the construction proper; finishing; and interior design. They have also discussed the issue on major construction materials that are used dedicated to green and disaster adaptive home designs against typhoons and floods. The book also features industry expert collaborators interviewed by Aguilar that include renowned Arch. 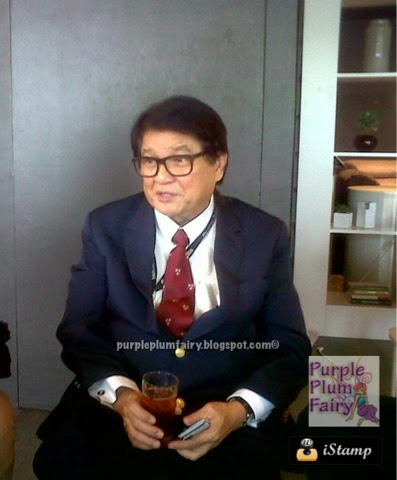 Felino "Jun" Palafox for architecture (who also wrote the said book's Foreword) ; Presidential Assistant for Rehabilitation and Recovery Undersecretary Danilo Antonio for property acquisition; Ivy and Cynthia Almario, and Philippine Realty TV host Tessa Prieto-Valdes, for interior design; and Maritess Allen for feng shui advices, among others. “When I built my house, I wished that I had a book that would guide me through the entire house building process,” he said, “so I wrote the book for people to have a guide through the complexities of it all since building your home is one of the most important things you will ever do in your life,"shared Aguilar who is a first-time author. 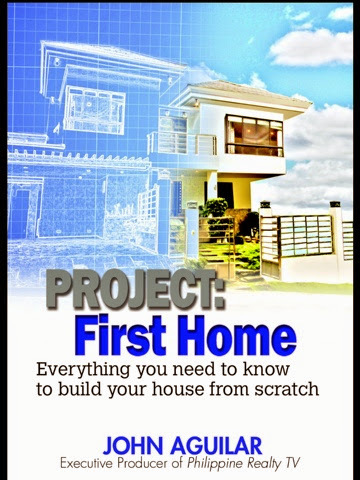 There is also a downloadable digital Ebook version of the book which contains bonus interactive tools, videos culled from the Project: First Home series on Philippine Realty TV, and links to important websites of government agencies, suppliers, and organizations. Present at the book launch were the expert book collaborators and industry partners that include Architect Jun Palafox, BPI Family Savings Bank’s Vice President and Product Marketing Head Noel Altamirano, and representatives from Cemex Philippines who were given plaques of appreciation for being the book’s content collaborators. The book was written in partnership with major sponsors BPI Family Savings Bank and Meralco, with minor sponsors Cemex Philippines, Jackbilt Industries, Phelps Dodge Philippines, Cypress Bomanite, and Megabuild 101. “Project: First Home” is now available in all Fully Booked and Wilcon Depot branches nationwide. The Ebook is also available for download through the Buqo App. For inquiries and bulk purchases, contact Second Wind Publishing at Tel. (02) 621-4635 or email info@philippinerealtytv.com. Visit www.PhilippineRealtyTV.com for more information on the book and airing schedules of Philippine Realty TV. Disclaimer: I am not compensated for this post. Opinions expressed are my own.